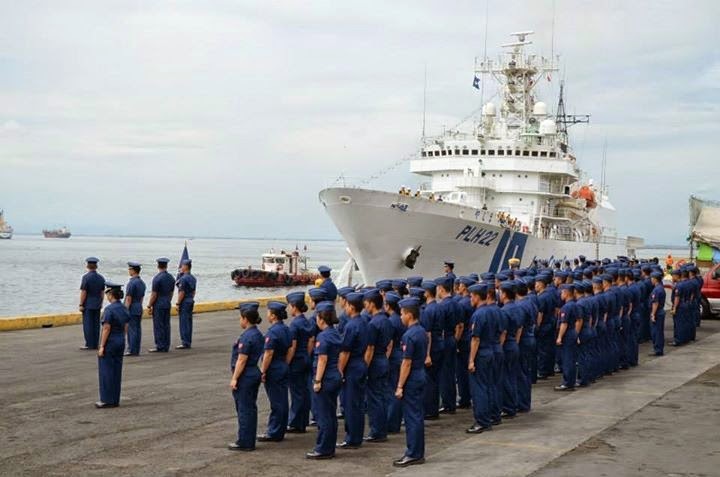 MANILA - A Japan Coast Guard (JCG) vessel docked at a Philippine port yesterday for a law enforcement exercise with the Philippine Coast Guard (PCG) this week. The Japanese Coast Guard, using PLH22 Yashima, will have a joint exercise with Philippine counterparts to heighten operations in combating piracy and armed robbery at sea. The joint exercise will take place near Cavite City on May 6. PLH 22 Yashima, a 130-meter search and rescue vessel with a capacity of 5,204 GT, is owned by the Ministry of Land, Infrastructure and Transport and is based at the Coast Guard Office in Fukuoka, Japan. PLH22 Yashima has assets consisting of a helicopter (Helicopter Bell 412) and rigid hull inflatable boat for board, search and seizure procedures. The PCG, on the other hand, will deploy its floating and air assets. Delegates of heads of Asian Coast Guard Agencies and other individuals will observe the exercises. “The event aims to further enhance the capabilities of PCG and JCG to combat piracy and armed robbery at sea, to acquire knowledge and skills in conducting airlift rescue operations, and to establish friendship and mutual understanding among the Heads of Asian Coast Guard agencies specifically between JCG and PCG,” the PCG said. The vessel will stay for the duration of the 11th Heads of Asian Coast Guard Agencies-High Level Meeting until May 7 in Malate, Manila. The Japanese and Philippine coast guards are jointly hosting the event. The Japanese Coast Guard vessel PLH22 Yamashita docks at Manila South Harbor on Sunday May 3, 2015.